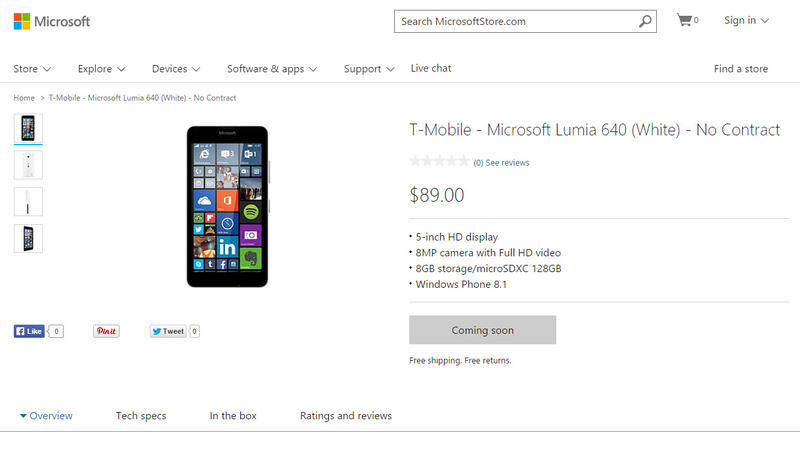 Update 2: Well, Microsoft has removed the listing for the Lumia 640 from the Microsoft Store. Check back to see that what means. 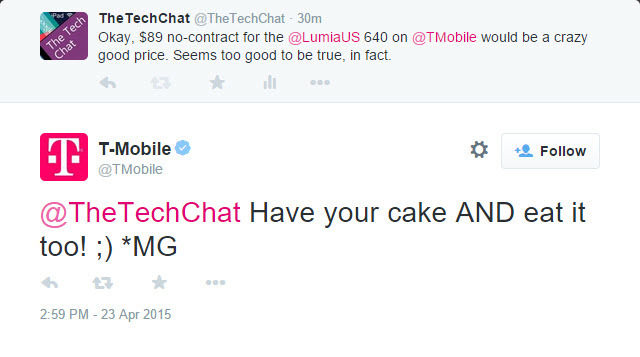 So, the Microsoft Store has the upcoming Lumia 640 listed at $89 for the no-contract T-Mobile version. 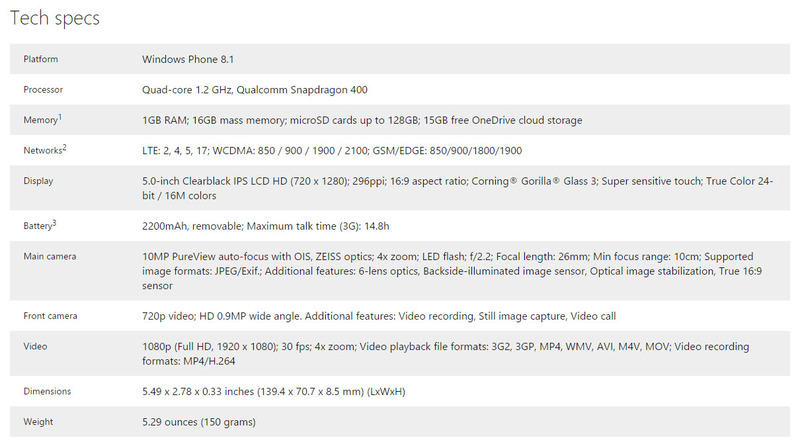 I can’t imagine that’s true–the Lumia 640 is similar in specs to the Lumia 830 that’s selling for $449, with only a few differences, e.g., build quality (not that the 640 looks cheaply made), 8GB of storage vs. 16GB, and 8MP camera vs. 10MP Pureview camera. In short, $89 for the Lumia 640 would be a steal. 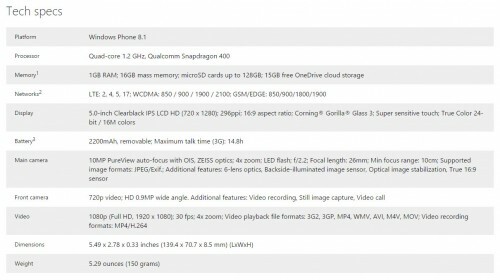 I’m going to reserve judgement on whether this is the real price or a mistake, and since the phone is still listed as “Coming Soon,” there’s plenty of time for Microsoft to make adjustments. 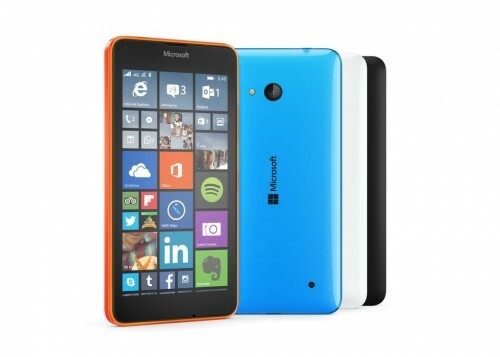 If it’s indeed the selling price, however, Microsoft is being very aggressive indeed.